What about the Update-the-App loop hole? One of the warnings we’re hearing a lot about Apps is the following: Apps that are submitted to the SharePoint Store, SharePoint Market Place (or whatever the final name will be), undergo a rigorous approval process. But, after granting an App Full Control, as long as the accompanying App manifest file doesn’t change, the App itself can change and start misbehaving on purpose after receiving an update. Is this going to be a problem? In theory, yes. In reality, we don’t think so. 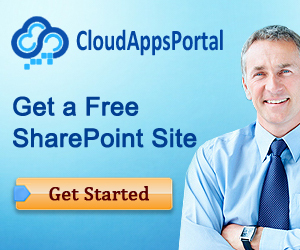 Submitting Apps to the SharePoint Store will tie your company, or you personally, to that App. So, Apps starting to misbehave on purpose will definitely lead to immense legal claims. The SharePoint Store as a platform for hackers, we just don’t see it happening. Interesting App gotcha: when Apps run under the App Only App Authorization Policy they run under the special SHAREPOINT\APP account. This only works for OAuth authenticated calls, and doesn’t work for some APIs that require the presence of a user context, such as the Search API. This is a great link with information about SharePoint 2010 extranet infrastructures: http://technet.microsoft.com/en-us/library/cc262834.aspx It also contains a link to the extranet hardening planning tool (which is actually a Visio diagram, but useful nonetheless). 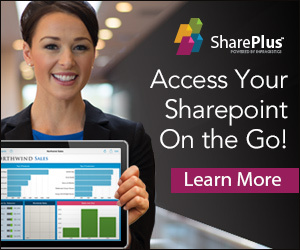 Apps can leverage a basic stylesheet of the referring SharePoint site, but for sure until so far the UI integration between Apps and SharePoint doesn’t look seamless at all. The Apps that are available right now from the SharePoint App Store seem to be struggling with this a lot. This is going to be a huge pain point, customers will expect integration to look naturally and for now it’s a big question mark if the tools provided to App developers allow them to deliver. Sahil Malik brings up an interesting point in http://www.dotnetrocks.com/default.aspx?showNum=794 , although App/SharePoint communication leverages OAuth, will it be safe? Sahil raises some serious doubts concerning the current implementation, and expects the burden of providing a secure solution will be placed on the shoulders of every App developer. After a SharePoint App has successfully obtained Full permissions, in principle there is nothing from stopping a vendor from modifying that web application to do something different (and evil?). The new App model brings a lot more cross-server communication with it. Will this impact the performance noticeably, will Apps be perceived as sluggish? SharePoint 2013 leverages Windows Azure Workflow (WAW) to provide SharePoint 2013 workflows. Both components communicate via HTTPS/SSL. SharePoint 2013 workflows are declarative and don’t allow developers to add custom code. Instead, developers have to either create custom actions or use the new HTTP workflow activities to call custom WCF services. Because of these two reasons, the amount of HTTP traffic that happens under water when executing workflows increases dramatically. Hence, Fiddler becomes a useful workflow debugging tool. Check out the good stuff at: http://www.andrewconnell.com/blog/archive/2012/07/18/sharepoint-2013-workflow-advanced-workflow-debugging-with-fiddler.aspx.